Understand the driving forces behind an Enterprise Event Bus. You have distributed applications (from different vendors running on variety of platforms) integrated with middleware infrastructure. Applications interact with each other in a traditional/synchronous way by sending messages over the Enterprise Service Bus (ESB)/Broker to get the job done. The synchronous infrastructure is causing delays leading to unproductive wait times and dissatisfaction from the users. There is a need for applications to propagate information (state changes and interesting events) to other interested applications asynchronously without knowing the details about their identity. 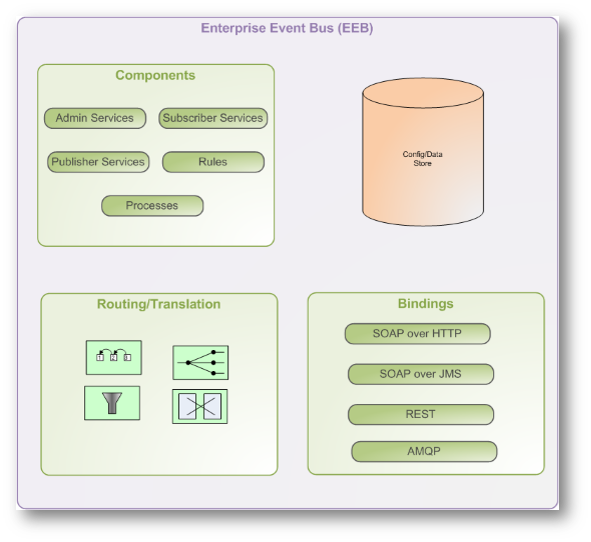 The following are driving forces behind the Enterprise Event Bus (EEB). 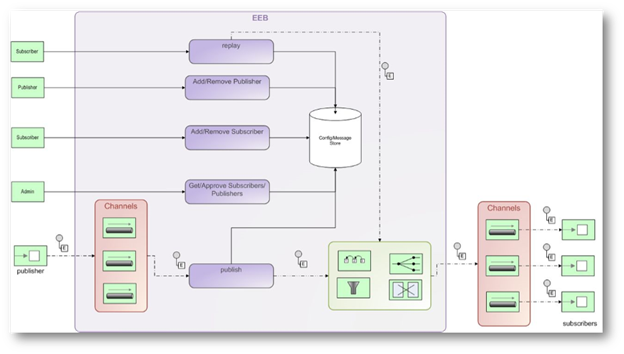 Enhance the existing middleware infrastructure to allow registering/deregistering of publisher/subscriber. 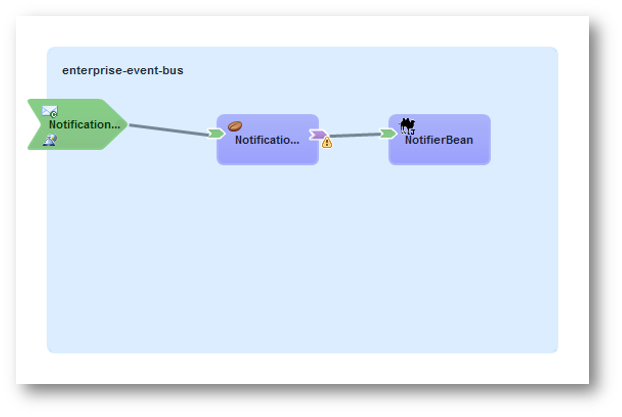 Devise a mechanism to send the event (notification) to intended listeners with the help of topics. One of the two WS-* specifications (WS-Notification: Spearheaded by IBM, WS-Eventing: Spearheaded by Microsoft) may be considered while implementing the approach. In this expample we will use JBoss Fuse Services to implement this approach. 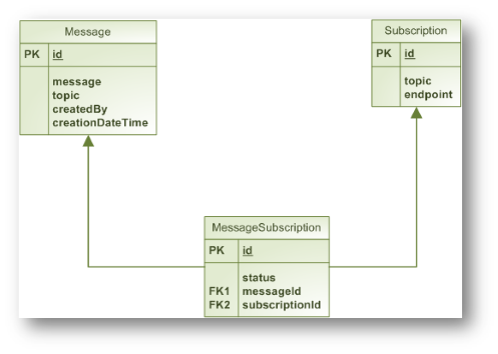 Design is pretty simple as we have a set of components (services and processes) to provide functionality, exposed over various bindings, data store (relational and column oriented) of the configuration and eventing data, and a mechanism (in this case Apache Camel) to route/translate events. Here is the ER diagram to start with. With this setup, store and forward can be implemented easily. A mini EEB using JBoss Fuse Service works for demonstration purposes can be cloned from GitHub. Instructions to get it up and running is provided in the README.md file. Here is the switchyard diagram for the Notification feature. It hardly took me any time to implement this feature and can be extended further to provide other features easily. When considering this approach, the following benefits and liabilities should be evaluated. 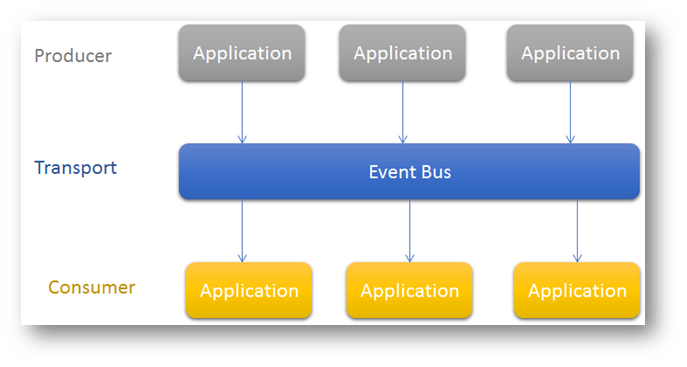 An Enterprise Event Bus can help enterprise build highly decoupled, flexible, secured and event driven applications.